*I know this post is late, but it took me a while to put together and I wanted to make sure it was comprehensive. It is inspiring to see, thanks to the efforts of freedom fighters like Martin Luther King Jr., how far we have come, yet, in light of the present day thriving trade in persons, humbling to know there is still much work left to be done. A salute to all those working to uphold civil rights and end modern day slavery around the world, happy (belated) Martin Luther King Jr. day! 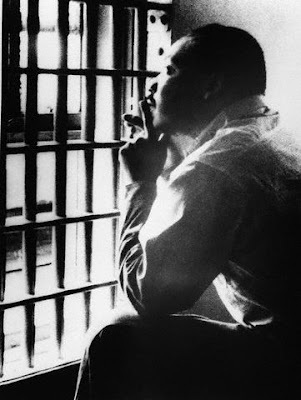 Martin Luther King, Jr. (January 15, 1929 – April 4, 1968), was one of the main leaders of the American civil rights movement. King was a Baptist minister, one of the few leadership roles available to black men at the time. 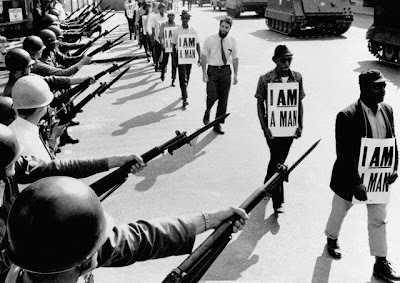 He became a civil rights activist early in his career. He led the Montgomery Bus Boycott (1955 - 1956) and helped found the Southern Christian Leadership Conference (1957), serving as its first president. His efforts led to the 1963 March on Washington, where King delivered his “I Have a Dream” speech. Here he raised public consciousness of the civil rights movement and established himself as one of the greatest orators in U.S. history. In 1964, King became the youngest person to receive the Nobel Peace Prize for his efforts to end segregation and racial discrimination through civil disobedience and other non-violent means. At the White House Rose Garden on November 2, 1983, U.S. President Ronald Reagan signed a bill creating a federal holiday to honor King. It was observed for the first time on January 20, 1986, and is called Martin Luther King Day. It is observed on the third Monday of January each year, around the time of King's birthday. In January 17, 2000, for the first time, Martin Luther King Day was officially observed in all 50 U.S. states. In the late 19th century, Democratic-controlled states, mainly in the South, passed racially discriminatory laws. 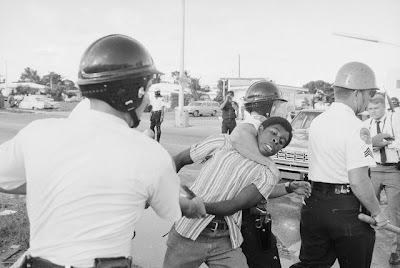 In the South, but also elsewhere in the United States, racial violence aimed at African Americans mushroomed. This period is sometimes referred to as "the nadir of American race relations." Elected, appointed, or hired government authorities began to require or permit discrimination, in the states of Texas, Louisiana, Mississippi, Alabama, Georgia, Florida, South Carolina, North Carolina, Virginia, Arkansas, Tennessee, Oklahoma, and Kansas. 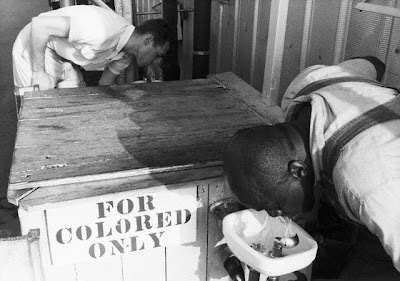 Required or permitted acts of discrimination against African Americans fell mainly into four categories: (1) racial segregation—upheld by the United States Supreme Court decision in Plessy v. Ferguson in 1896—was legally mandated by southern states and by many local governments outside the South; (2) voter suppression or disfranchisement in the southern states; (3) denial of economic opportunity or resources nationwide, and (4) private acts of violence and mass racial violence aimed at African Americans, which were often encouraged and seldom hindered by government authorities. 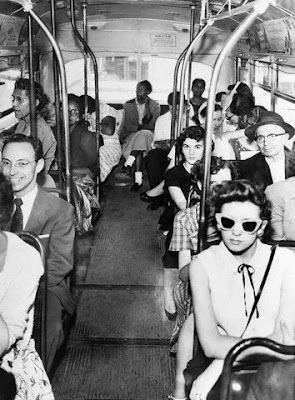 The Civil Rights Movement prior to 1955 confronted discrimination against African-Americans, chiefly in the South, with a variety of strategies. These included litigation and lobbying efforts by traditional organizations such as the National Association for the Advancement of Colored People (NAACP). The crowning achievement of these efforts was the legal victory in Brown v. Board of Education (1954), which overturned the "separate but equal" legal doctrine derived from Plessy and made segregation legally impermissible but provided few practical remedies. 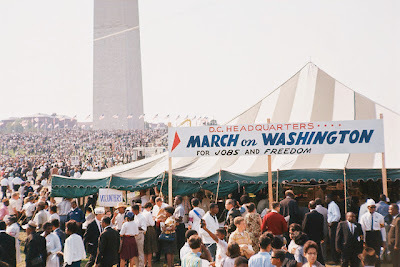 Private citizens, simultaneously invigorated by the victory of Brown but frustrated by its lack of immediate practical effect, increasingly rejected gradualist, legalistic approaches as the primary tool to bring about desegregation in the face of "massive resistance" by proponents of racial segregation and voter suppression. 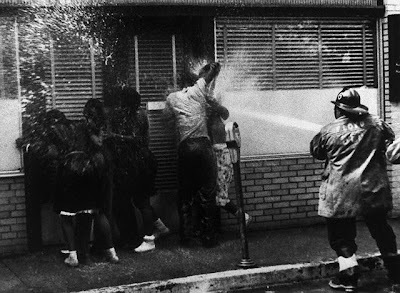 In defiance, they adopted a combined strategy of direct action with nonviolent resistance known as civil disobedience. Acts of civil disobedience produced crisis situations between practitioners and government authorities. The authorities of federal, state, and local governments often had to respond immediately to crisis situations, and the results were often in the practitioner's favor. 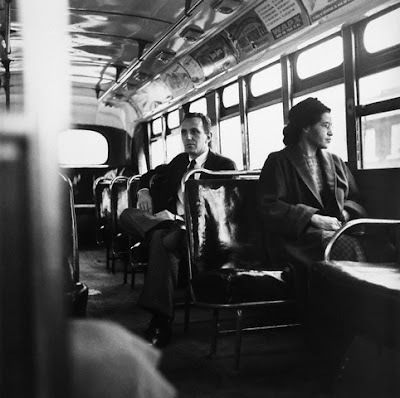 Some of the forms of civil disobedience employed included boycotts, beginning with the successful Montgomery Bus Boycott (1955-1956) in Alabama; "sit-ins" such as the influential Greensboro sit-in (1960) in North Carolina; and marches, such as the Selma to Montgomery marches (1965) in Alabama. Noted legislative achievements during this phase of the Civil Rights Movement were passage of the Civil Rights Act of 1957 (minor in its effects, but the first anti-discriminatory federal legislation since Reconstruction), the Civil Rights Act of 1964 that banned discrimination in employment practices and public accommodations, the Voting Rights Act of 1965 that restored voting rights, the Immigration and Nationality Services Act of 1965 that dramatically changed U.S. immigration policy, and the Civil Rights Act of 1968 that banned discrimination in the sale or rental of housing. Nearly 4 million slaves with a market value of close to $4 billion lived in the U.S. just before the Civil War. 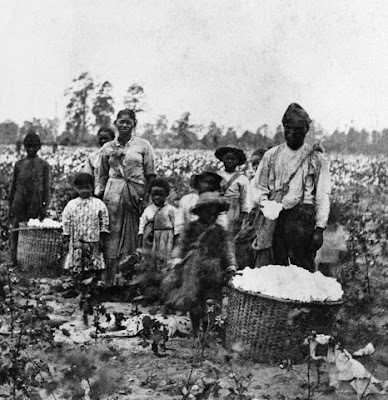 Masters enjoyed rates of return on slaves comparable to those on other assets; cotton consumers, insurance companies, and industrial enterprises benefited from slavery as well. 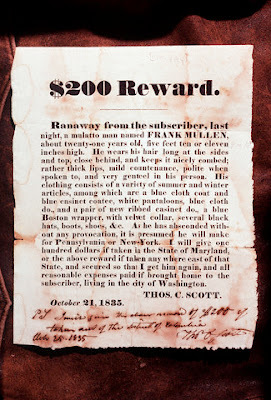 Such valuable property required rules to protect it, and the institutional practices surrounding slavery display a sophistication that rivals modern-day law and business. Not long after Columbus set sail for the New World, the French and Spanish brought slaves with them on various expeditions. Slaves accompanied Ponce de Leon to Florida in 1513, for instance. But a far greater proportion of slaves arrived in chains in crowded, sweltering cargo holds. The first dark-skinned slaves in what was to become British North America arrived in Virginia -- perhaps stopping first in Spanish lands -- in 1619 aboard a Dutch vessel. From 1500 to 1900, approximately 12 million Africans were forced from their homes to go westward, with about 10 million of them completing the journey. Yet very few ended up in the British colonies and young American republic. By 1808, when the trans-Atlantic slave trade to the U.S. officially ended, only about 6 percent of African slaves landing in the New World had come to North America. Central to the success of slavery are political and legal institutions that validate the ownership of other persons. A Kentucky court acknowledged the dual character of slaves in Turner v. Johnson (1838): "[S]laves are property and must, under our present institutions, be treated as such. But they are human beings, with like passions, sympathies, and affections with ourselves." 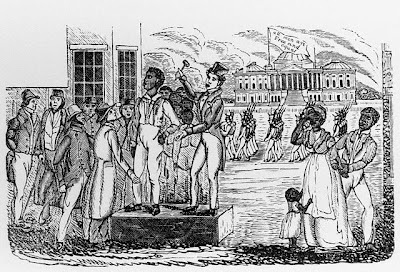 To construct slave law, lawmakers borrowed from laws concerning personal property and animals, as well as from rules regarding servants, employees, and free persons. The outcome was a set of doctrines that supported the Southern way of life. The English common law of property formed a foundation for U.S. slave law. The French and Spanish influence in Louisiana -- and, to a lesser extent, Texas -- meant that Roman (or civil) law offered building blocks there as well. Despite certain formal distinctions, slave law as practiced differed little from common-law to civil-law states. Southern state law governed roughly five areas: slave status, masters' treatment of slaves, interactions between slave owners and contractual partners, rights and duties of non-contractual parties toward others' slaves, and slave crimes. Federal law and laws in various Northern states also dealt with matters of interstate commerce, travel, and fugitive slaves. 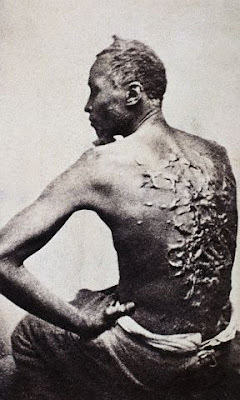 The American Civil War, beginning in 1861, led to the end of chattel slavery in America. Not long after the war broke out, through a legal maneuver credited to Union General Benjamin F. Butler, a lawyer by profession, slaves who came into Union "possession" were considered "contraband of war". General Butler ruled that they were not subject to return to Confederate owners as they had been before the war. Soon word spread, and many slaves sought refuge in Union territory, desiring to be declared "contraband." Many of the "contrabands" joined the Union Army as workers or troops, forming entire regiments of the U.S. Colored Troops (USCT). Others went to refugee camps such as the Grand Contraband Camp near Fort Monroe or fled to northern cities. General Butler's interpretation was reinforced when Congress passed the Confiscation Act of 1861, which declared that any property used by the Confederate military, including slaves, could be confiscated by Union forces. Lincoln's Emancipation Proclamation of January 1, 1863 was a powerful move that promised freedom for slaves in the Confederacy as soon as the Union armies reached them, and authorized the enlistment of African Americans in the Union Army. The Emancipation Proclamation did not free slaves in the Union-allied slave-holding states that bordered the Confederacy. 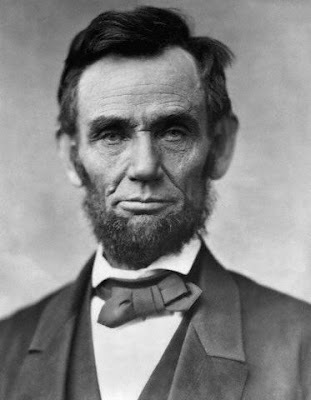 Since the Confederate States did not recognize the authority of President Lincoln, and the proclamation did not apply in the border states, at first the proclamation freed only slaves who had escaped behind Union lines. Still, the proclamation made the abolition of slavery an official war goal that was implemented as the Union took territory from the Confederacy. According to the Census of 1860, this policy would free nearly four million slaves, or over 12% of the total population of the United States.The Arizona Organic Act abolished slavery on February 24, 1863 in the newly formed Arizona Territory. Tennessee and all of the border states (except Kentucky) abolished slavery by early 1865. Thousands of slaves were freed by the operation of the Emancipation Proclamation as Union armies marched across the South. Emancipation as a reality came to the remaining southern slaves after the surrender of all Confederate troops in spring 1865. Legally, the last 40,000 or so slaves were freed in Kentucky by the final ratification of the Thirteenth Amendment to the Constitution in December 1865. * What other advocates of freedom and civil liberty around the world do you think should be recognized? Send in suggestions with relevant links and I'll post them. You know, the response to human trafficking has had to overcome a racial divide as well. The precursor to the modern protocol and conventions in counter-trafficking was the 1904 International Agreement for the Suppression of the White Slave Traffic. It wasn't until later that non-whites were recognized as being victims of trafficking and exploitation. If you want to learn more about it, there is a great newsletter that the World Council of Churches put out in May 2006 on the topic of trafficking, and the article by Chris McDermott deals with the history of international documents on human trafficking. The newsletter also provides interesting articles on morality, human trafficking, and the role of the church. Worth a look.